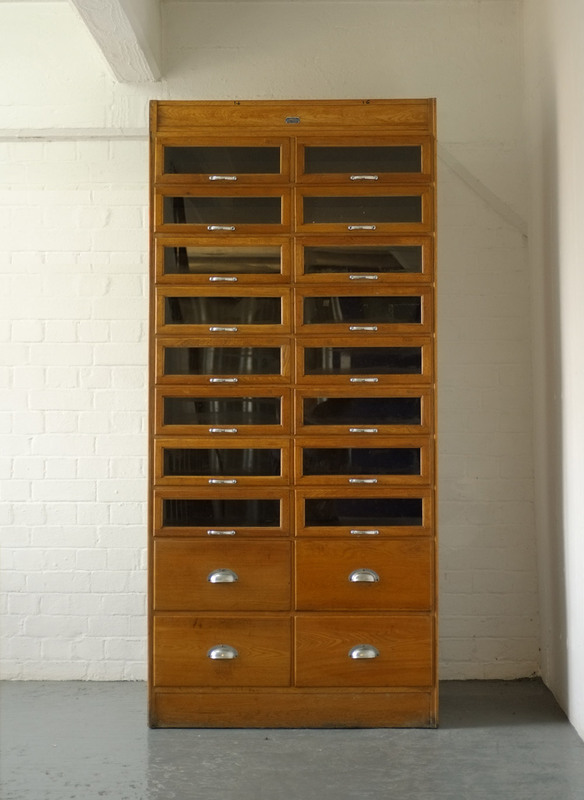 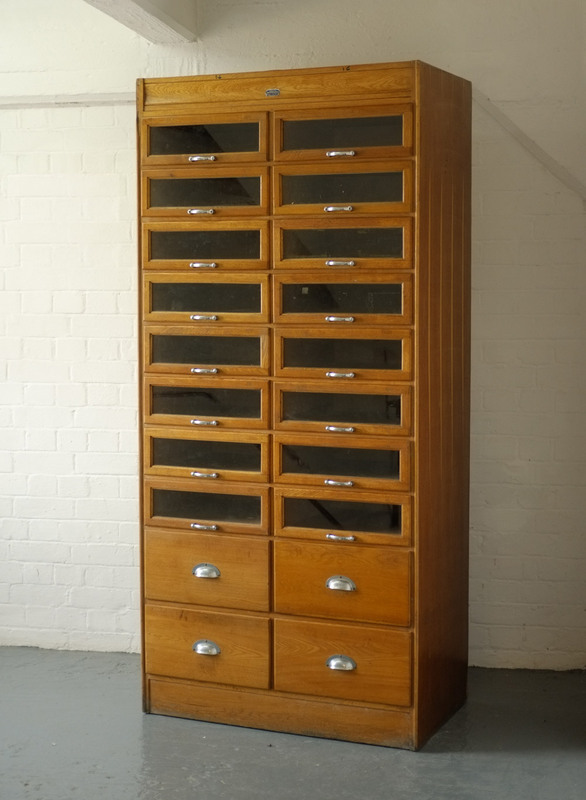 A British vintage oak Haberdashery cabinet of drawers. 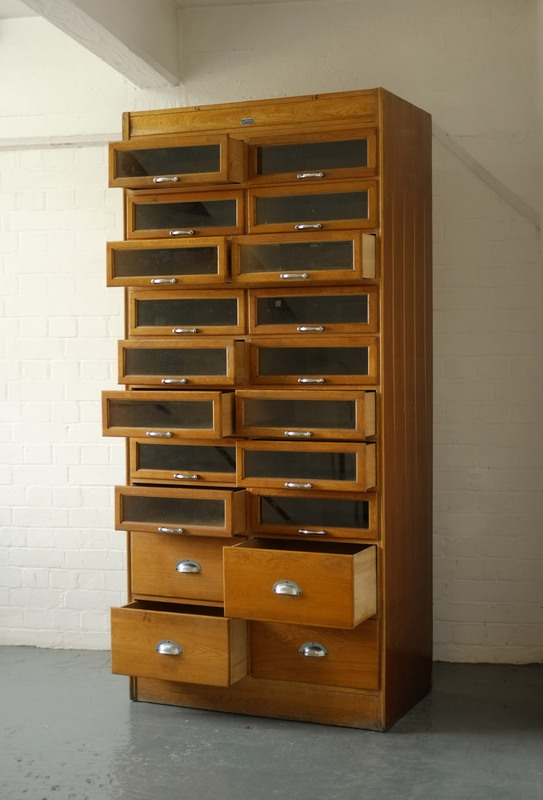 Fantastic storage, 16 glazed drawers over 4 larger wooden-fronted drawers. 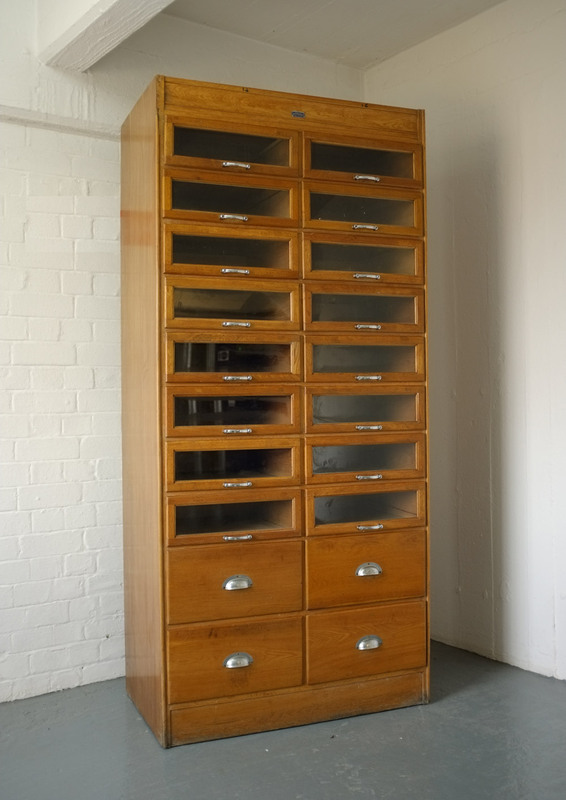 In nice condition with good golden colour and some wear.